@AJS, in most trials the DT provides the clothing for the defendant, but I'm not sure if they do in this case. @LIZ, @NT8 would know- stats update! @Liz I do believe we aare just short of 110 witnesses so far. Have to Tweet Marshall7 he is keeping track. 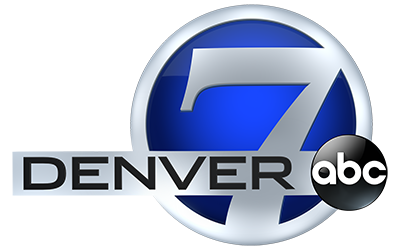 @AJS Typically the Family of the Defendant gives the clothes to the Defense Team who get it cleared for the Defendant to wear. JH is slouching while the jury's looking at evidence. I bet he straightens up again when they enter. SMH. wouldn't it be better for JH to be wearing a suit jacket? @Liz and @Abrandt, do they only want him to wear specific colors? Do they believe the colors elicit certain feelings from the jurors? @Marshall, What is the total witness count up to today? @Phil, no worries I tweeted him. Kings bookcase is getting full. He may need another one. @Kristle, I don't think there's a rule that says JH needs to sit up straight at all times. @Phil- Any idea how JH's parents are reacting to the testimony that they are hearing in the past couple of days? My money is on Survivor. @Liz: No rule, just an observation. Idk where I remember this but am thinking JH's parents bring in his clothes he's wearing in court. Hmmmm any guesses what the next witness will be? When either the DT or PT want a judge to be removed, who makes that decision? @AJS I'm sure there is some communication between the Defense Attorneys and the people obtaining the clothing. I know certain items are prohibited ex. clothing with wording/metal. @AJS, I honestly don't think the colors have anything to do with it. They just don't want to show him wearing his orange jumpsuit, or whatever color they wear in the Arapahoe jail. @NT8: Yup, that's on our list! While we wait, Erica and I want to know: What questions should we ask the legal expert at lunch today? Evan Morrison: heard "just a lot of gunshots"
@catherine: Phil is correct. They called a survivor who was sitting directly behind him and he actually SAW JH get up and exit the theater, and he had a cell phone pressed to his ear as he exited. IMO a ruse on JH's part to appear as if he had a phone call. 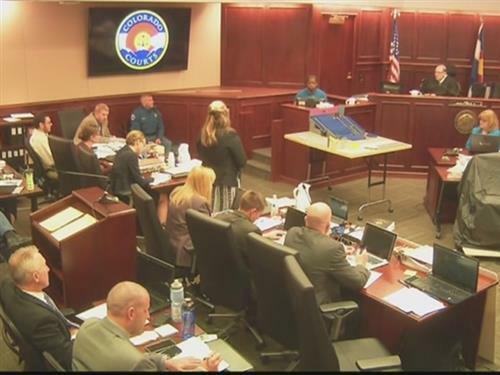 7NEWSA moviegoer testified Tuesday afternoon about being seated directly behind the orange-haired theater shooting gunman. @Phil: Awesome!! Thanks for the link!! Evan Morrison: "I felt a sharp pain in my left knee"
Evan Morrison: Says others were returning into the theater while he was exiting. They asked if this was part of the movie. He said "no, get out." Defense objects and is sustained. Give me a break Orman. That was heresay.